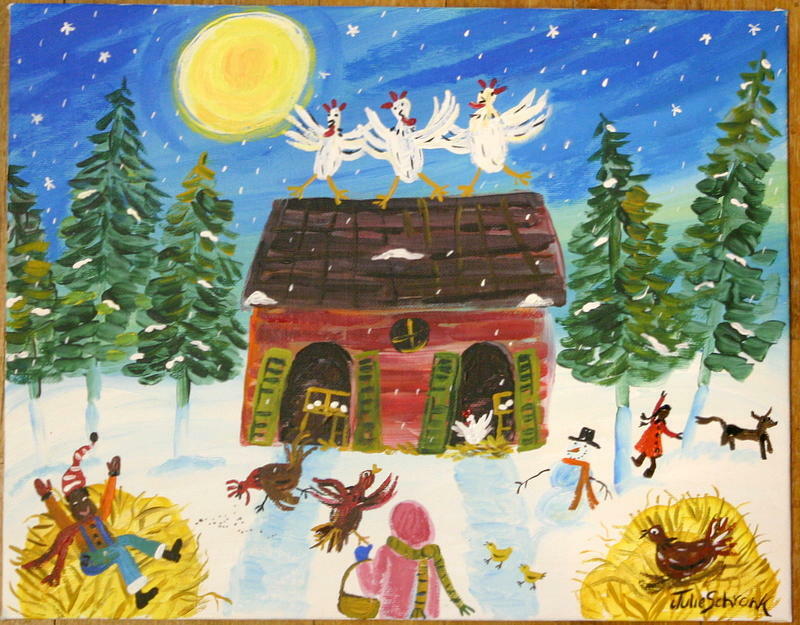 Winter Chickens is a painting by Julie Schronk which was uploaded on January 14th, 2010.
painting celebrating the season. Notice the cute snowman and the little black boy frolicking in the hay! Another chicken is nestled warmly in the hay, too! The colors in this are beautiful and vibrant. This black folk painting will look great framed!